The favorite time of the year is here. Its time to pick some eggs! Easter is not just popular amongst kids but also amongst parents. 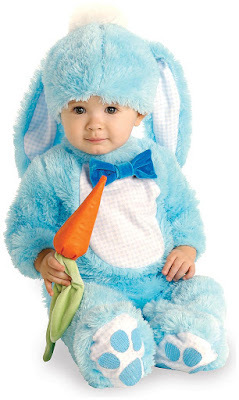 Dressing up your child in cute bunny costumes and watching them hopping around is every parents delight. There are many popular infant Easter Outfits for boys and girls available in marketplace. 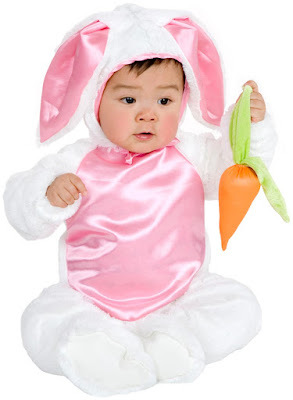 Easter Bunny Costume, Rabbit Costume, Baby Chickees, Baby Duckees, and Little Lambs are few of the popular Infant Easter Costumes. Now we understand how overwhelming experience it can be for mothers when there are so many options available in the market. To reduce your dilemma of what to pick and what to leave, Here are few options for your cute tiny tots for Easter. This Blue Bunny Infant Costume includes chennille and flannel jumpsuit with bowtie, hat with ears, and carrot rattle. This Costume comes in two sizes for kids from 6 months to 18 months. 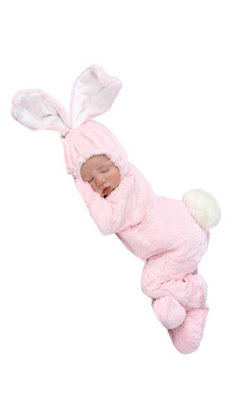 This Easter Bunny NewBorn costume includes a one-piece pink suit with a hood and detachable white tail. This costume also features a zipper closure. 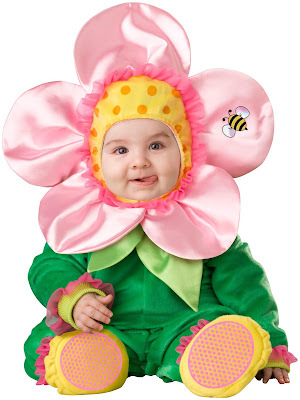 This Costume is avialble in two sizes for babies from 0-6 months. 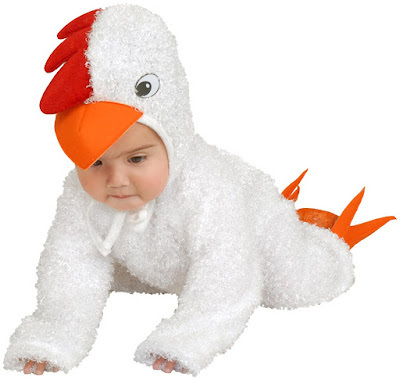 This Chicken Infant Costume micro fiber jumpsuit, hood, and foot covers. This Costume comes in three sizes for New born, infant and toddler. This Duck Child Costume includes plush body, hood, and shoe covers. This costume is available in one size that fits 4-6 year old. This Plush Bunny Child Costume comes with an ultra soft micro-fiber white bodysuit with a shiny pink torso, coordinating plush booties and a matching hood with floppy bunny ears. This Costume is available in three sizes, X-Small, Small and Medium. 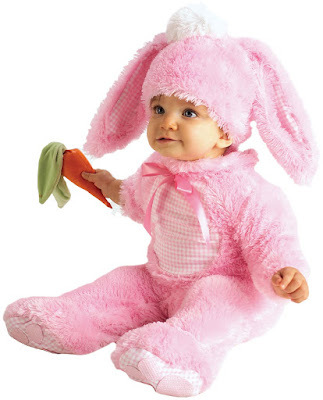 This cute Pink Bunny Infant Costume is perfect for your cute little babies. This Costume includes jumpsuit, rattle and a headpiece. It is available in two sizes for kids from 6-18 months. This cute Costume is perfect to welcome the Spring. This Costume comes with Bodysuit, Hood and Booties. It is available for 6 months-2T. 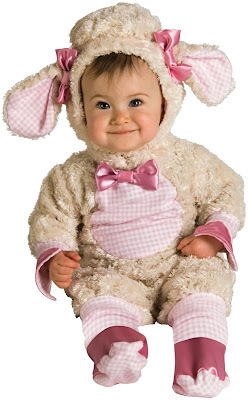 Pink Lamb costume includes chenille fur and flannel hooded jumpsuit with ears and bowtie. This costume fits size 6-12 months. What can be more cute than a Teddy Bear? This Teddy Bear Costume includes a plush fur body, character hood, and shoe covers. It is available in small size. Why this costume you wonder? Well, it is such a cute piece that its hard to keep it away from the list of cute costume. Just check it out yourself and we bet you'll agree with us. 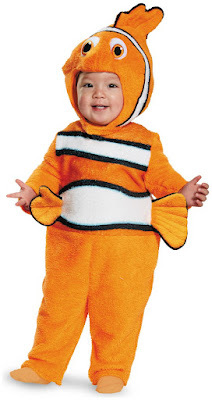 This Costume includes a jumpsuit, and fish hood with eyes. It comes in size 6-12 months. Enjoy the Easter festivity by dressing up your infant boys and infant girls in little bunny rabbit outfits and enjoy the fun of egg hunting.